The revelations were mind-boggling. Repeatedly, the anti-graft agency, the Economic and Financial Crimes Commission (EFCC) makes fresh discoveries about huge amount of looted funds allegedly linked to the former Minister of Petroleum Resources, Mrs. Diezani Alison-Madueke. At present, there are applications for assets forfeiture filed in various Nigerian courts, including the United States of America (USA), with revelations of an unimaginable proportion of sleaze ever attributed to a woman in Nigerian history. The value of the assets and cash allegedly linked to the former minister is above N3billion and is still increasing going by feelers from EFCC. A federal high court, Lagos had on August 22 ordered that four building properties scattered in Lagos and River States as well as Abuja, valued at N2. 611, 592, 199 billion, linked to Diezani and her associates be temporary forfeited to the Federal government for being proceeds of corrupt activities. But the woman in question is not in Nigeria to answer to those charges of money laundering and corruption. She is believed to be residing in the United Kingdom. That is why some Nigerians and civil society groups have began to call on the federal government to apply for the extradition of Diezani. 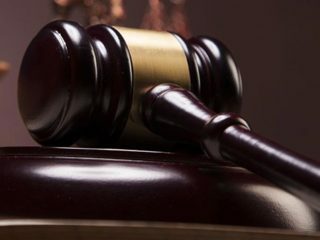 The general belief is that she must answer to the charges as it would be unjust to condemn her unheard because such would violate the principles of natural justice and equity. Such people are of the view that the allegations of corrupt enrichment and misappropriation of public funds against the ex-minister is a violation of customary international law and treaty obligations, particularly the Rome Statute of the International Criminal Court (ICC), to which Nigeria is a state party. 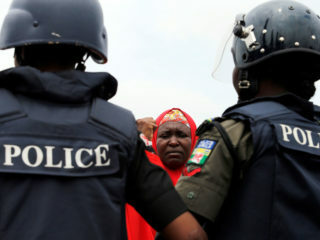 According to SERAP, the UK will be sending a message that high-level official corruption will not go unpunished no matter where the suspected perpetrator hides and thus contribute to the fight against impunity and grand corruption if it sends Diezani back to Nigeria. But speaking on the rules that guide extradition as it relate to countries of the world and in the case of Nigeria and UK, a Lagos-based lawyer and International law expert, Patrick Eva, said, it all depend on existing mutual agreement or treaty on how to handle cases of repatriation of person accused of corruption or other crimes. “The position of International law basically depends on, if there are existing bilateral treaties between Nigeria and United Kingdom to take care of repatriation of anybody involved in corrupt practices and if the person is likely to be guilty or has case to answer,” he said. Eva also said if the ex-minister is a citizen of UK, then it would be difficult to get her repatriated because the UK has jurisdiction to try her there. “Another likely impediment to extradition in accordance to international laws is that it depend on the status of the culprit, that is, if the person is a British citizen or possessed a resident permit in the UK. “So if this is the case with Diezani, there is no way she can be sent back to Nigeria, because under international law, the jurisdiction is with the UK government and she has to be tried in UK. It is only after her trial that she may be sent back home to face further trial and this also depends on agreement between the two countries. “Principally, extradition has to do with status of the person and existing bilateral agreement. That is why, any convict in Nigeria accused of drug trafficking between Nigeria and the USA, such can be sent to USA for trial based on existing bilateral agreement,” he stated. Eva noted that the onus or power lies with the country the person resides. They can decide or decline to send the person for trial, he stated, adding that it can happen even when there is an existing bilateral agreement. According to him, you cannot force a country to extradite a person because international laws are premised on mutual agreement. Eva pointed out that UK might not be under obligation to comply with Nigeria’s request. This, he said is because UK is ahead of Nigeria in terms of strength, economic and political might, adding that it would have been easier if it is the other way round. His words: “If such weaker country refuses, she might be placed under pressure, in form of denial of aids, ban on essential goods and sanctions to compel the country to sacrifice the person and you know, no individual is greater than national interest of a country. That was what Obasanjo did with Bakassi. He sacrificed Bakassi at the alter of convenience, please international communities, so as to avoid sanctions”. The lawyer emphasized that the requirement of the international law of extradition is such that relevant agencies of the applying country must prepare all necessary documents to establish the facts. 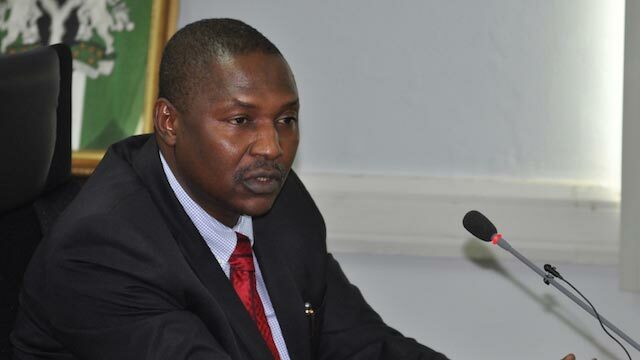 “For instance in the case of Nigeria, I think we have the federal Ministry of Justice expected to work hand in hand with the EFCC to establish cases that warrant extradition against the ­­­­­ex-minister. “Ultimately, in the case of Diezani, it is the UK that will decide whether to send her back to Nigeria or not, most especially, if she is a British citizen with British passport, green card or resident permit,” he stressed. Also, a senior advocate of Nigeria, Dr. Paul Ananaba said the existence of treaties, mutual cooperation and due process are ingredients of extradition or repatriation of culprit in another country as stated by international law. He said: “We need the cooperation of the government of UK to achieve such extradition against a former minister. You will recall the issue of Umaru Dikko. So as a country, we must follow due process to comply with UK requirements. “But the problem of international laws is that, if there is no mutual cooperation, then the laws may not work. And we must bear in mind that UK is a sovereign nation and we cannot impose any judgment on her except by cooperation”. Ananaba also said going by existing relationship between the UK and Nigeria, there should be mutual agreement, if the Nigeria wants the Diezani extradited to the country for trial. He also said there is nothing any country can do if there is no agreement between the two countries. The highest that could happen under the international law is that it will resort to diplomatic disagreement, which will only affect relationship. Another lawyer, Seth Amaefule, also said the international law of extradition or repatriation is based on agreement between nations involved, otherwise it cannot be established. “The international law of extradition is something like an agreement between two or more countries. No one has jurisdiction over another person in a foreign country. But once there is a valid reason for wanting a person in another jurisdiction for extradition to another (home) country to face judicial process, then the law says the country where the person resides or escaped to can agree to bring or return the person to the country based on mutual agreement or existing treaties. “But in a situation where an agreement failed to be established, then extradition cannot take place. This is because in international law, no country can order for the repatriation of a person(s) in another country without an agreement”. He cited the case of former governor of Bayelsa State, late D. S. P. Alamieyesiagha, who when there was move to extradite him to Nigeria and at the same time the UK government wanted to try him and he returned to Nigeria. He noted that there were also preparations to return him to UK for trial until when the government of UK declined that they no longer need him. “So it means there was an existing reciprocal agreement between the two countries on extradition of any wanted culprit. So, if for any reason, Nigerian government wants the former minister or anybody extradited from UK, I think there is an existing relationship already,” he pointed out. Amaefule also said the law of extradition is not automatic. The emphasis is on agreement and good cause of action in accordance with prescribed international standard. “The fact that international law stipulates mutual agreement means it is not automatic. It also has to show good cause of action on the part of the country requesting to extradite a person in another country, such that the interest of the person sought to be extradited is taken into consideration in accordance with the rule of law. “By so doing, any step that will violate the right of the person who is to be repatriated would be counter productive and against international law. There must be no fear or apprehension of the safety of the person and of where the person would be taken to. The international law also prescribe fair trial and protection of culprit sought to be repatriated,” he concluded. For senior advocate, Gani Adetola-Kassim, there should be no problem in attempt to extradite any person from UK. All it entails, according to him, is to fulfill the basic requirements of international laws. He said: “There must be an establishment of crime committed by the person, which shall be the basis of the application by the Attorney General of the federation requesting that the person be extradited. This also shall be subject to review by the country the person resides. “The process is to ensure no one is victimised or persecuted for political reasons order than what is prescribed in international laws. The laws demand total transparency”. Adetola-Kassim also added that, the case of UK might not be complex as a result of the existing relationship between the two countries. “What Nigeria needs is to follow the international standard set by international laws. And this can be achieved if due process is followed and the case of the subject wanted for extradition is handled in accordance with the rule of law. “But in the case of the former minister, Diezani, there are enough evidences to establish the case against her,” he stated, adding that it is imperative that she comes back and face trial.